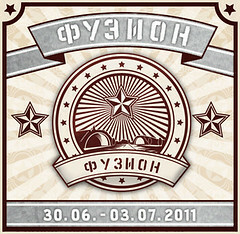 We would like to document here each MakerLab that happens around the world so that we can share the knowledge we create. 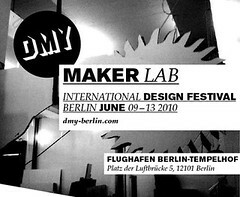 MakerLab DMY 2010 (Berlin): It was the first MakerLab, we prototyped what could be about. 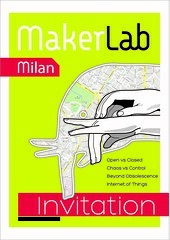 If you like to make your own MakerLab, feel free to copy and iterate our processes. 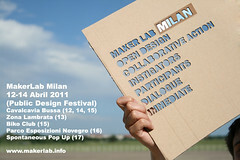 If you done a MakerLab and want to share it, you can send us the info and we will publish it. Other past interventions are MakerLab Creative Commons summit (organized by Sharism in Warsaw), MakerLab GoodGoods (Organized by Bausteln in Hamburg), MakerLab Cebit 2012 (Organized in cooperation with Betahaus in Hannover).